Capsaicin for Weight Loss - Can It Reduce Body Weight? Can Capsaicin from Chili Peppers Promote Weight Loss? Capsaicin, the compound in chili peppers that makes them spicy, is often said to support weight loss. Proponents claim that consuming capsaicin extract can help speed up metabolism and reduce fat tissue, as well as curb your appetite. Although the mechanism of action is not fully understood, capsaicin appears to stimulate a receptor in the body known as TRPV1. While scientists have yet to confirm that capsaicin can serve as a weight loss aid, some early studies suggest that this compound may be of some benefit. For a report published in Appetite in 2014, for instance, scientists sized up previously published clinical trials investigating the potential benefits of capsaicin compounds (known as capsaicinoids) on energy intake. In their review, the report's authors found evidence that consumption of a minimum of 2 mg of capsaicinoids before a meal reduced energy intake by 74 calories during the meal. Another study, published in Appetite in 2012, observed an increase in energy expenditure (50 calories per day) with capsaicinoid consumption, and concluded that this increase would result in clinically significant weight loss in one to two years. The mechanism behind capsaicin's purported satiating effect may be attributed to an altered preference for carbohydrate-rich foods over foods with a higher fat content, according to the 2014 Appetite study. In a study published in the American Journal of Clinical Nutrition in 2016, capsaicin intake promoted satiety but didn't affect levels of the satiety hormones glucagon-like peptide-1 (GLP-1) and peptide YY (PYY). Instead, the researchers suggest that capsaicin-induced satiety may be related to increased gastrointestinal symptoms, such as pain, a burning sensation, nausea, and bloating. Consumption of capsaicin and the nonpungent compounds in chili peppers known as capsinoids may increase energy expenditure and fat oxidation, according to a report published in Critical Reviews in Food Science and Nutrition. Researchers reviewed previously published studies and found that in studies where participants had a mean body mass index (BMI) falling within the overweight or obese range, ingestion of capsaicin or capsinoids increased energy expenditure and fat oxidation. In addition to reducing energy intake, preliminary research suggests that capsaicin intake may reduce the waist-to-hip measurement ratio. In a study published in Appetite in 2017, researchers found that capsaicin intake at 2 mg per day lowered the waist-to-hip ratio at six weeks compared to high-dose capsaicin intake or a placebo. Body composition, however, was not significantly affected. Although capsaicin is generally considered safe when consumed in moderation as a food, capsaicin supplements may cause side effects such as stomach irritation, stomach pain, bloating, and the aggravation of ulcers and heartburn. In addition, capsaicin supplements may interact with certain medications (including aspirin and blood-thinning drugs) and supplements. They shouldn't be taken within two weeks of a scheduled surgery. There's also some concern that the use of capsaicin supplements or topical capsaicin may trigger coronary spasm and raise the risk of a heart attack in some people. It's important to keep in mind that the safety of supplements in pregnant women, nursing mothers, children, and those with medical conditions or who are taking medications has not been established. 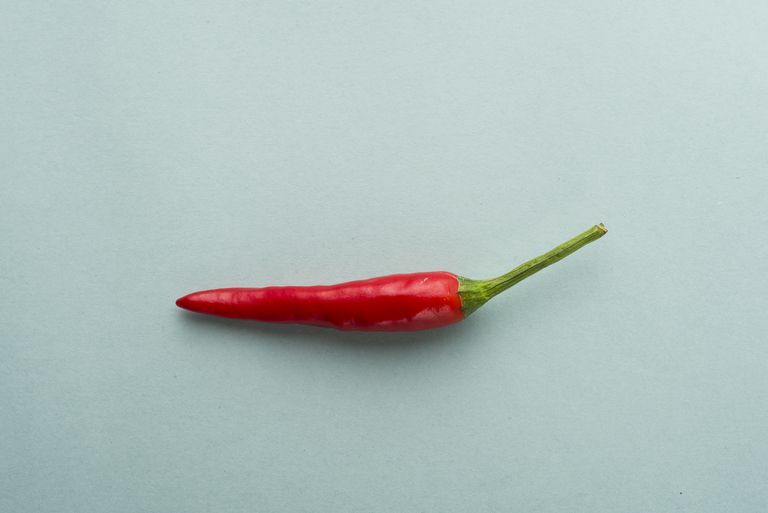 While it's too soon to recommend capsaicin supplements (or a high intake of chili peppers) for weight loss, increasing your capsaicin intake somewhat by adding chili peppers, cayenne pepper, or paprika in small amounts to your cooking may be beneficial to your overall health (partly due to the compound's antioxidant effects). Both the spicy and non-spicy compounds in chili peppers may play a role in weight loss. If you're still considering the use of capsaicin supplements, make sure to consult your health care provider first to see if it's right for you. Urbina SL, Roberts MD, Kephart WC, et al. Effects of twelve weeks of capsaicinoid supplementation on body composition, appetite and self-reported caloric intake in overweight individuals. Appetite. 2017 Jun 1;113:264-273.
van Avesaat M, Troost FJ, Westerterp-Plantenga MS, et al. Capsaicin-induced satiety is associated with gastrointestinal distress but not with the release of satiety hormones. Am J Clin Nutr. 2016 Feb;103(2):305-13. Whiting S, Derbyshire EJ, Tiwari B. Could capsaicinoids help to support weight management? A systematic review and meta-analysis of energy intake data. Appetite. 2014 Feb;73:183-8. Zsiborás C, Mátics R, Hegyi P, et al. Capsaicin and capsiate could be appropriate agents for treatment of obesity: A meta-analysis of human studies. Crit Rev Food Sci Nutr. 2016 Dec 21:1-9.